Hamilton May offers a high standard one-bedroom apartment measuring approx. 37,7m2 with more than 3m high ceilings. Hamilton May would like to present a high standard one bedroom apartment for rent, located in a prestiguous residential building in the heart of Krakow - ul. Cybulskiego. Hamilton May offers a luxuriously furnished and equipped one bedroom apartment in a modern apartment, located right by the Wawel Hill. 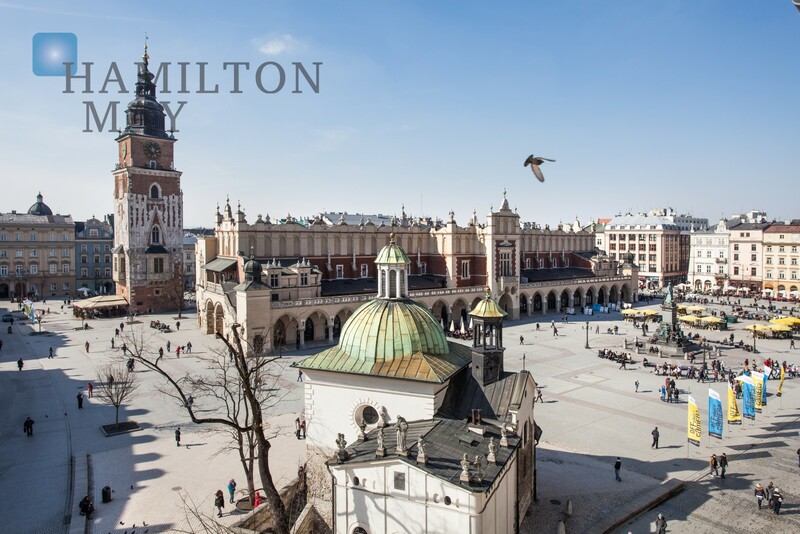 Hamilton May specializes in high quality city centre property and is pleased to offer a selection of up to date rental listings in Krakow’s old town. Read here for more information and check out our current listings to see prices and available apartment types in the old town of Krakow. Rental prices of apartments in Krakow’s old town are typically at the higher end of the market with apartments in new build and renovated buildings achieving the highest premiums, particularly when secure parking is available. There is a general shortage of supply of good quality rental apartments in Krakow’s city centre region and good rental offers tend to get snapped up quickly. As with any international city, there is a mixture of both foreign owners and local landlords offering both furnished and unfurnished apartments for rent. Perhaps with the exception of the Wola Justowa region, the Old town is the area with the highest density of foreign tenants with many leases being taken up by people visiting Krakow on business trips. Rent prices to vary through the year, so please view our current listings of apartments for rent in the Old town to access the current price/m2 that you can expect to pay. Real estate in Krakow Old town is characterized by old tenement or town house style buildings (in Polish, ‘kamienica’), some in a poor state of repair, others fully renovated. New build property is as dispersed within the old town although it is less common and more in demand when available because of the lack of supply. As you move further from the main market square residential property becomes more widespread and indeed the section of Krakow old town between the Planty and Aleja (second ring road) contains some leafy and highly desirable residential streets. Because of the historic nature of Krakow’s old town (stare miasto), parking is relatively limited and a significant premium is associated with any property with parking, particularly when it is secure or in underground garages, so availability of a garage should be taken into consideration if you wish to rent an apartment with parking.